Funny T-Shirts On Clearance For $6.99 + FREE Shipping ( Great Gift Ideas )!! You are here: Home / Great Deals / Funny T-Shirts On Clearance For $6.99 + FREE Shipping ( Great Gift Ideas )!! Funny T-Shirts On Clearance For $6.99 + FREE Shipping! These t-shirts are hilarious, and they make awesome gifts!! 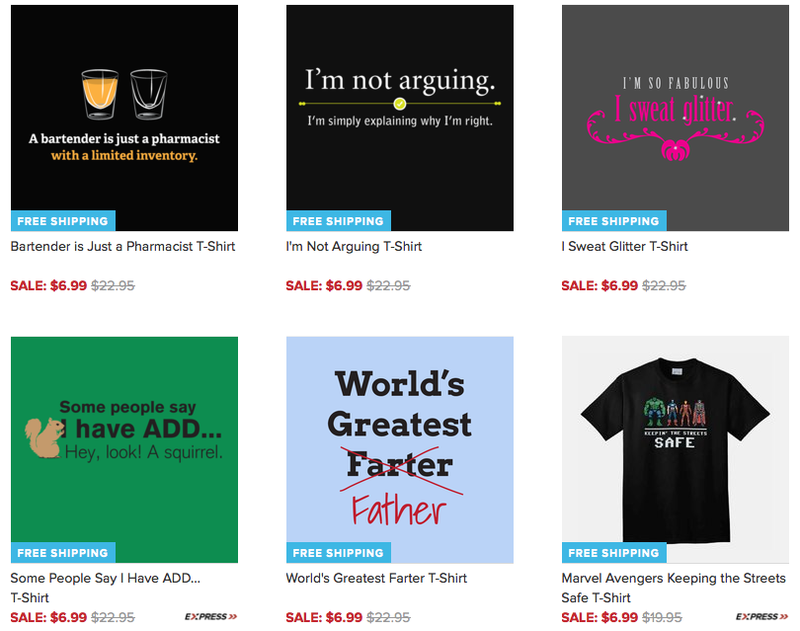 Right now, you can snag these Funny T-Shirts On Clearance for ONLY $6.99 + FREE Shipping! They have more to choose from aside from the image, so be sure to check them all out!